Having a car of your own is probably one of the most convenient things imaginable, especially in this increasingly hectic world. It helps you get around faster, getting you where you need to go as fast as possible. However, it is of crucial importance for all car owners to know that having a vehicle of your own also comes with its own set of responsibilities. Performing regular car maintenance is crucial to ensuring that your vehicle is able to perform in optimal capacity. The following are some basic car maintenance tips that all car owners need to know. These tips go a long way in terms of making sure that your car is safe and roadworthy. Car owners should have their vehicles tuned-up no less than once a month. You have the choice of doing it yourself or having it done at the maintenance garage. This not only ensures that your car performs at optimal efficiency, but it also goes a long way toward saving you money. This is because poorly tuned-up cars consume at least 30 percent more gasoline annually. The car’s fluid levels should be checked at least once a week for new cars, and every day for older models. The vehicle’s brake fluids, radiator coolant, clutch fluids, automatic transmission fluid, as well as its battery water levels, are just some of the things you have to be on the lookout for. If it reaches a point wherein any of these fluids run low, then you should expect your car to start malfunctioning. For instance, your car’s battery life may be dramatically shortened once the battery water levels run low. You are also putting yourself at risk if you do not keep your clutch and brake fluids in check. You have to ensure that they are of the right viscosity to ensure that you are traveling safely. The vehicle’s tire pressure levels should be checked monthly. Failure to do so will result in your car not being able to perform its best. For instance, studies have shown that for every pound of under-inflation a vehicle can lose at least 4 percent of its fuel efficiency and gasoline mileage. This is a direct result of the drag that low-pressure tires create. These are just a few of the car maintenance tips that all car owners should know about. The importance of performing regular maintenance on your vehicle can never be stressed enough. It is crucial in order for you to enjoy the benefits that your car brings into your life. 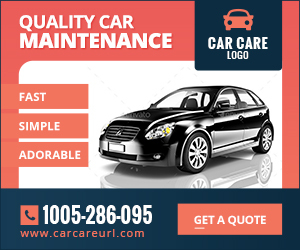 All of the tips presented above ensure that your vehicle is kept at its prime. You can either do these things yourself, or you can have professional mechanics do it for you. It doesn’t really matter who does these tasks for you as long as it is done properly. Either way, car owners will most definitely save more money in the long run by following these car maintenance tips.